A car wreck that involved spinal cord and cervical injuries has led to a $52 million award – the largest personal injury award in Colorado history. As the victim was riding in her 1994 Honda Civic, another driver attempted a U-turn and drove across the median before crashing into the victim’s car. The Civic rolled multiple times, causing the woman to suffer the spinal cord and cervical injuries. As a result of the injuries, the victim lost the use of her legs and retained only limited use of her hands. After the jury deliberated for 8-1/2 hours, they attributed 50% of the fault to the defendant driver, and 50% to the manufacturers of the victim’s car (Honda) and windshield (Belgium-based AGC Automotive). The state of Colorado caps the amount that can be awarded for pain and suffering at $468,000. The jury had awarded the victim $5 million for that portion of the award. Our thoughts are certainly with the victim in the incident described above. Unfortunately, the terrible experience she had is all too common. Data from the Centers for Disease Control and Prevention tell us that there are 3 million injuries sustained and 33,000 deaths among American drivers involved in an auto accident each year. In fact, some experts go so far as to estimate that the average person in the U.S. will be involved in an auto accident at least three times during their adult lives. 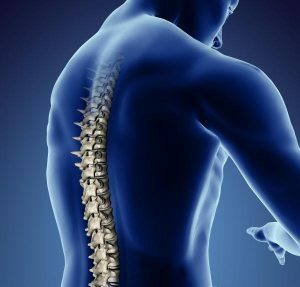 Like the victim in the case above, about 40% of the roughly 11,000 new spinal cord injuries sustained each year result from auto accidents. When you’re the victim of another driver’s negligence, you have the right to collect compensation from that driver to cover the costs associated with the accident. Because insurance companies are known for stonewalling payment for injuries, you need a skilled legal team who know how to fight for and secure all that you’re entitled to. For a free consultation, get in touch with us here at Barber & Associates by calling 907-278-5858 or getting in touch online.